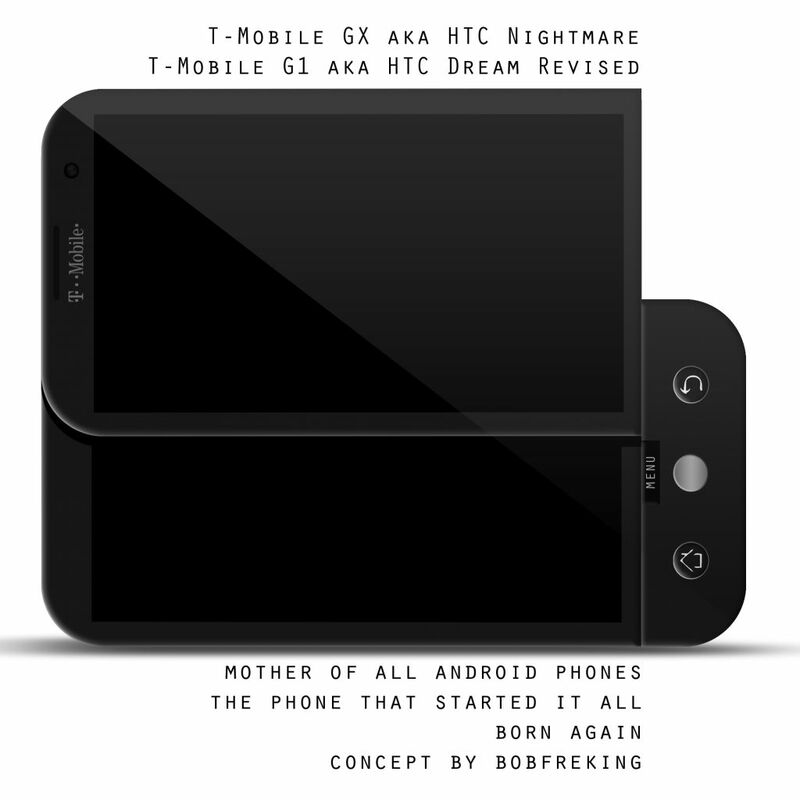 Bob Freking sent us a redesign of the original Android phone, the very first model to run this OS: T-Mobile G1 aka HTC Dream. The Dream now becomes “a beautiful nightmare”, if I may say so. 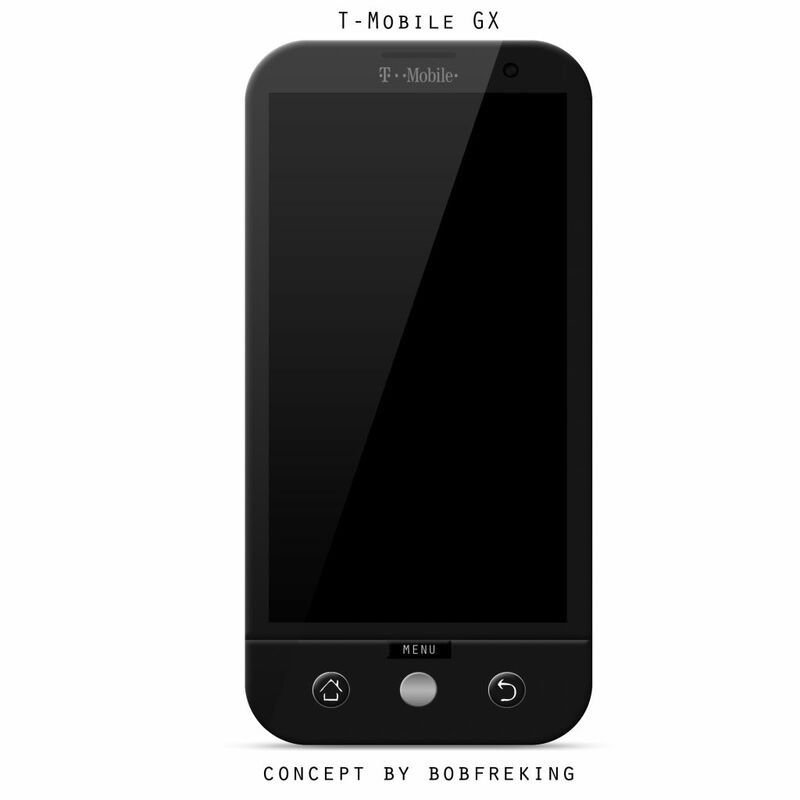 It’s also called the T-Mobile GX. The revision involves a similar design, but different buttons, as shown in the pictures below. There’s that signature trackpad included here and the QWERTY keyboard is replaced with another touchscreen this time. The device is as thick as the original G1, but that bulkiness is excused by a huge battery and better hardware. The remade G1 features a 2 megapixel camera, an 8 megapixel HD rear cam and a Tegra 3 quad core CPU. What’s special here is stock Android 4.0/5.0, used on two touchscreens. Also, the screen size is expected to be bumped from 3.2 inch to 3.5 inches, to rival the iPhone. With a total area of 7 inches of screen when the sliding part opens, this device could be a stunner. It will support a 720p resolution on the main screen, a great feat for a 3.5 inch display. Are you ready for a new HTC Dream? Is there room for sliders on the market today?